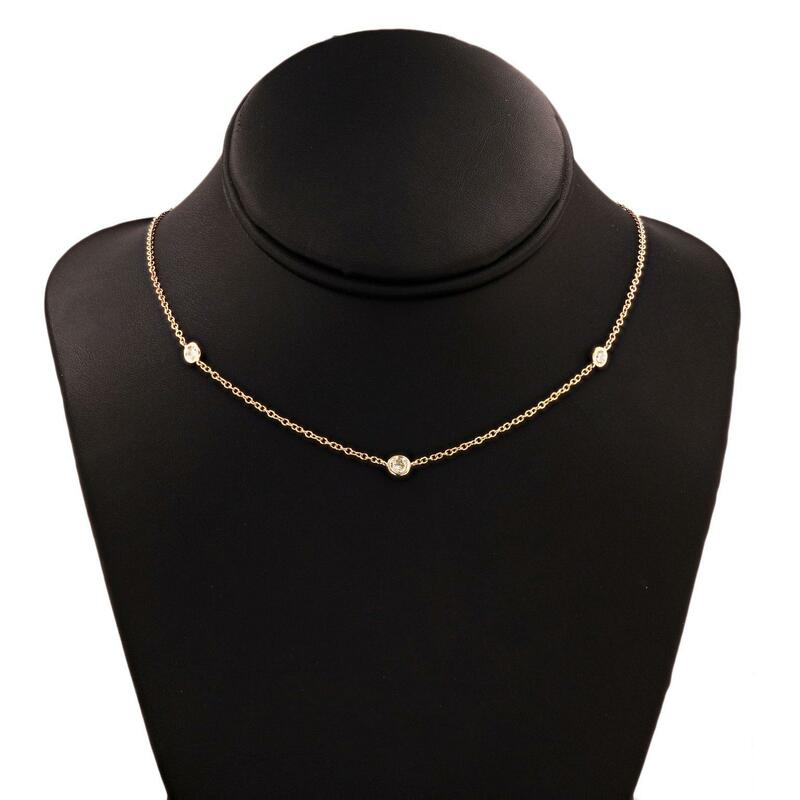 One electronically tested 14KT yellow gold ladies cast and assembled diamond station necklace. 17 Inch length Identified with markings of "585". Three bezel set round brilliant cut diamonds, measuring 3.50 - 2.80 x 1.89mm (depth est.) approximate total weight of 3 Stones = 0.38ctw. Total Weight of Diamonds 0.38ctw.